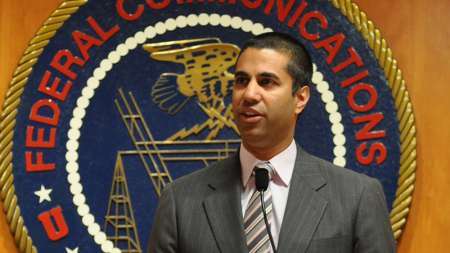 Ajit Pai, chairman of the Federal Communications Commission, announced Wednesday that the agency will begin to create the Office of Economics and Data (OED). The office, which is expected to be in place by the end of the year, will provide economic analysis for rulemakings, manage the agency’s data resources, and conduct long-term research on how to improve the agency’s policies. To begin the process of standing up the new office, the FCC will establish a working group, which will discuss who should be part of the office, who should be part of other teams, how the office should be structured in relation to the other parts of the agency, and what should be the powers and responsibilities of the office. Pai said that the office should give economists input into the decision-making process, better manage data and analysis, and keep track of the agency’s long-term goals. “For instance, what’s the impact on FCC policies of the Internet of Things, with billions of new devices dotting the landscape and operating at low power?” Pai said. The office was first proposed by President Donald Trump’s transition team in order to evaluate the economic viability of the FCC’s rules. Pai said that the FCC’s economists are not always used optimally. The economists aren’t incorporated into the FCC’s policy work. They work for the individual bureaus instead of for the entire agency, which creates siloes and impairs productivity. According to the Office of Management and Budget, the FCC issued 11 major rules from 2006 to 2015. None of which were accompanied by a cost-benefit analysis. Pai said that one of these rules was the Title II Order, which created net neutrality requirements. Pai said that the FCC’s data reporter requirements are often duplicative or unnecessary. According to OMB, it costs approximately $800 million per year to comply with the FCC’s reporting requirements.